If you’ve never made a buckwheat smoothie, I encourage you to try it out. Sprouted buckwheats pack a lot of nutrition and you can even dehydrate them to extend their use. They don’t add much flavor just a subtle nuttiness. They are 15% protein and a great source of calcium, magnesium, and iron. I blended a small handful of groats with fresh fruit and veggies I had on hand. I happened to use my largest blendtec container, but if you scale down the ingredients it will blend up perfectly in something like the nutribullet. Recently I talked about buckwheat sprouts and how to grow them. 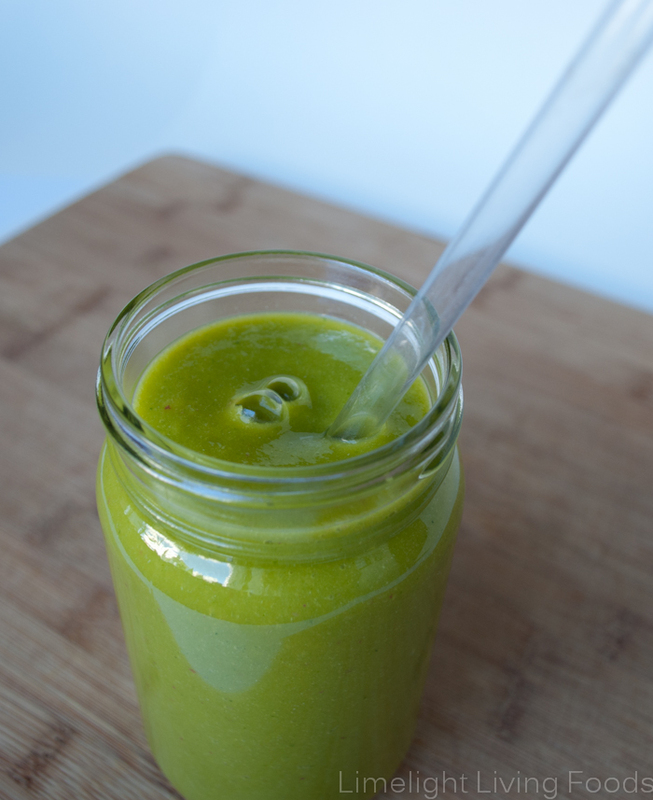 This lovely green buckwheat smoothie has them! Add ingredients to blender in order listed. Blend baby blend - until smooth. 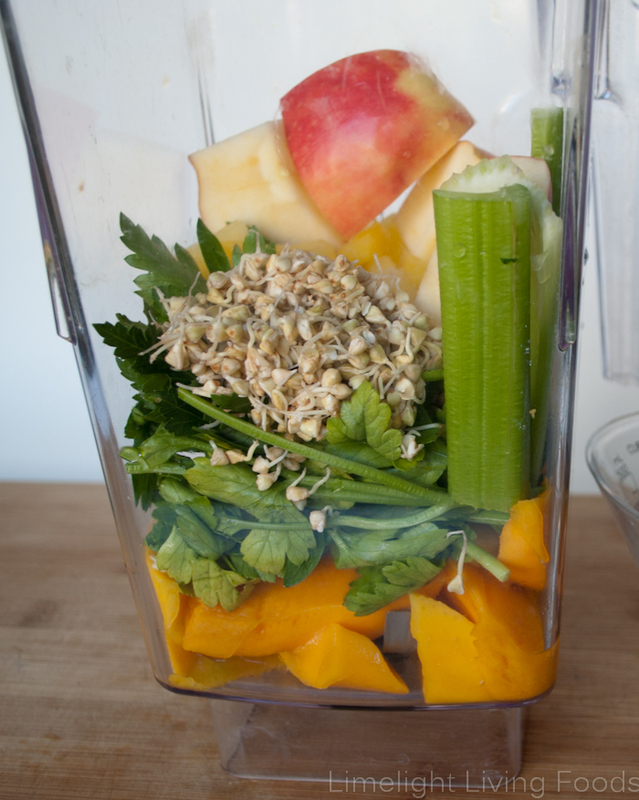 Blender Tip: Always place your juiciest ingredients at the bottom, this will help the blender run its best! I would like to point out,that this smoothie,which contains BOTH large quantities of celery AND Buckwheat sprouts,poses a serious risk of photosensitivity. Noted that celery contains furanocoumarins and sprouted buckwheat contains significant amounts of an anthraquinone alkaloid called Fagopyrine,both of these are highly photosensitizing. I would never consider 1/2 cup of buckwheat sprouts and 2 measly ribs of celery large quantities. It’s a perfectly healthy smoothie. Are you on medications that cause this issue?